WWE Smackdown Live kicks off with general manager Paige in the ring. 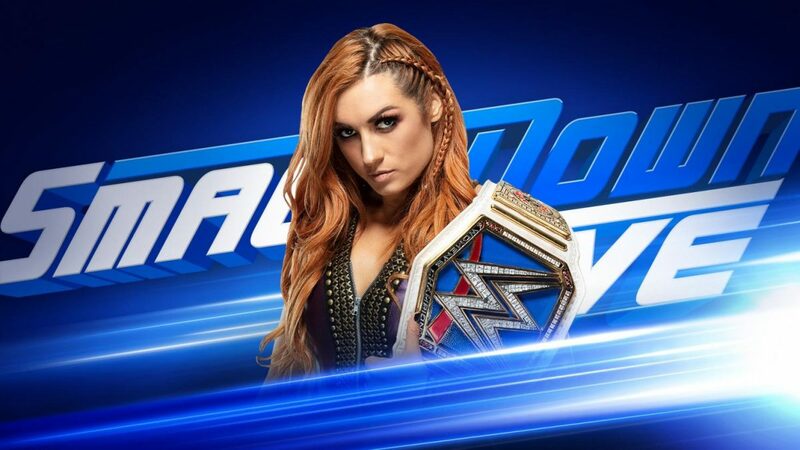 She welcomes back WWE Smackdown women’s champion Becky Lynch as the champion comes out to a loud ovation. Becky says after she attacked Raw, she bled, she fought and she won. And she showed up the next night to fight and at Survivor Series as well but she was being held back. But no more. Because she is done watching. She says she is back in the game. She calls out Charlotte Flair. Lynch tells Charlotte that she asked Charlotte to step up but Becky says it took Charlotte channeling her inner Becky to take it to Ronda Rousey. Charlotte says she wasn’t trying to be Becky but she was being Charlotte Flair, the 7 time women’s champion. 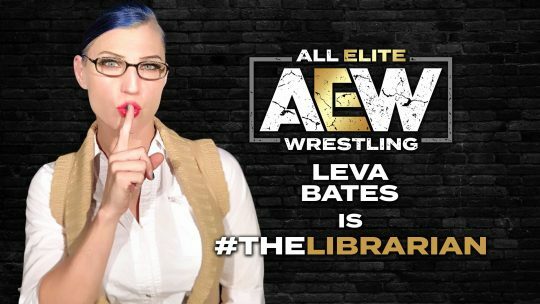 And the only woman on either roster capable of giving Ronda the beating she deserves. Charlotte says she is more capable because she is genetically superior. And she has the mindset to do any solitary thing possible to get the job done. Becky calls Charlotte a bootleg Becky but at least she isn’t pretending anymore. Charlotte says Nia must have hit Becky harder than she thought because she’s delusional. Becky says Charlotte is the one copying her father and the one riding her coat tails. Charlotte says that the queen stands out in the crowd and she will be at TLC and she was the one born ready. Charlotte tells Becky she fought for herself, not for Becky because she couldn’t. And she would fight her right now. Paige breaks it up and says she likes the desire shown by Charlotte and no one has that desire. Paige says at TLC it will be Charlotte against Becky Lynch for the Smackdown women’s title. But that’s not all. Because it will be a tables, ladder and chairs match. Mandy Rose’s music hits as Mandy comes out with Zelina Vega, Sonya Deville and The IIconics. Mandy says it’s a joke that no one has shown the desire that Charlotte has. The reality is that anyone of them could have done the same thing to Ronda. Mandy says Paige left Absolution and all she does is give opportunities to her old friends. Naomi’s music hits and she comes out with Lana, Asuka and Carmella. Naomi says she couldn’t help but over hear what Mandy was saying and they agree. Naomi says anyone of them can be champion. Becky says she will take them all out. Paige says this is the passion she is talking about. She announces that every woman tonight will be in a battle royal and the winner will be added to the Becky Lynch and Charlotte match at TLC. Backstage earlier today, The Bar yelled at The Big Show for not helping them last week against The New Day. Cesaro talked trash and The Big Show gave him a Knockout Punch, so their stable already appears to be done. The bell rings and Sheamus is in the ring with Jimmy who has Sheamus in the corner. Jey tags himself in and a drop kick onto Sheamus. He goes for the cover but Sheamus kicks out. A right hand by Sheamus who tags Cesaro in. A right hand by Jimmy and he tags Jey in. Cesaro distracts the referee as Sheamus beats on Jey. Sheamus is tagged in as both men double team on Jey. Back from commercial, Cesaro and Sheamus double team Jimmy. Cesaro tags Sheamus in who kicks Jimmy in the head. He goes for the cover but Jimmy kicks out. 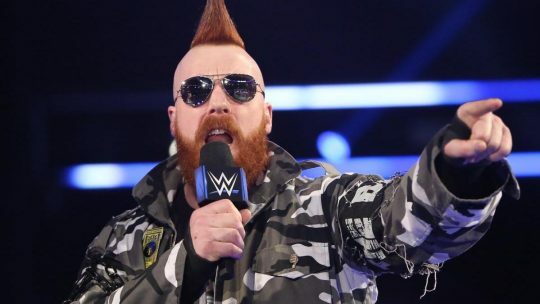 Sheamus gets Jimmy in the corner but Jimmy fights him and Cesaro off. He tags Jey in as SHeamus tags Cesaro into the match. Jey with a Samoan drop onto Cesaro. 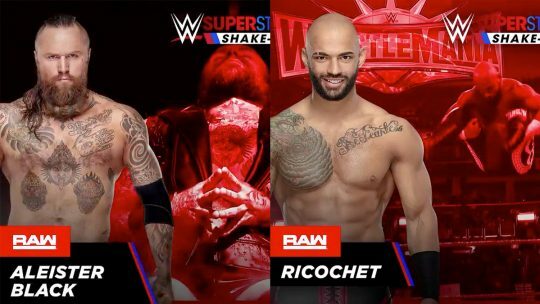 Jey goes for the cover but Cesaro kicks out. Cesaro gets in the corner as Sheamus tags himself in. Jey drop kicks Cesaro to the outside of the ring. Jey runs and jumps over the top rope but Cesaro hits him with an upper cut. Jey is back in the ring and Sheamus with a jnee to the shoulder. He climbs the second rope and a leg drop by Sheamus. He goes for the cover but Jey kicks out. Sheamus climbs the top rope and goes for a clothesline but Jey pushes him into the turnbuckle. Jey hits Cesaro and nails Sheamus with a super kick. He tags Jimmy in as both Usos climb the top rope. Cesaro hits Jey with an upper cut. Jimmy jumps but Sheamus gets the knees up. Sheamus lifts Jimmy up and tags Cesaro into the match. In comes Jey who hits Sheamus with a super kick. Cesaro throws Jey to the outside as Jimmy rolls Cesaro up. Jey makes the tag as he hits Cesaro with a super kick and Jimmy hits a splash off the top rope. Jey goes for the cover and gets the win. Backstage, The New Day are laughing as The Miz asks them what they are watching. The New Day tell him they are watching his match with Shane McMahon from last week. The Miz says last week while the New Day were playing with food, he and Shane were fighting injured, defending the honor of Team Smackdown. The New Day says they won on Survivor Series. The Miz says their win didn’t count and they couldn’t have done better last week. The Miz says he is 2/3 best in the world. 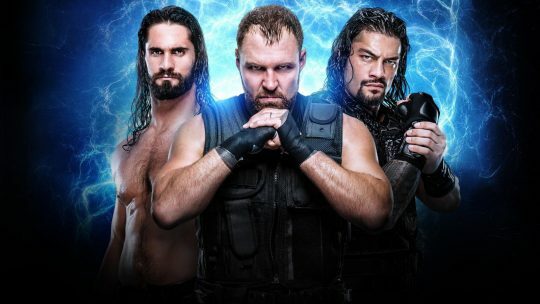 And as a matter of fact, he will go to his co-bestie Shane McMahon and setup a match for tonight. Out comes the former WWE champion AJ Styles. He says that for 14 days, he has been without the WWE title. And those 14 days seem a lot longer than the 371 days that he did have the title. AJ says no one likes to lose, he hates losing but it’s the way which he lost that bothers him. Clips of Smackdown Live from 2 weeks ago air where Daniel Bryan hit AJ Styles with a low blow. AJ says when he became champion, he knew there would be a target on his back but who knew that target would move to some where else as AJ looks towards his groin area. AJ says what bothered him was what happened after the match where Bryan hit him in the face over and over again. Styles says he watched from home as Daniel Bryan explained his actions. Clips of last week’s Smackdown airs where Daniel Bryan says that the Yes movement is dead. AJ says that sounded like a lot of trash. The old Daniel Bryan or the new Daniel Bryan, it has the same face for him and he can’t wait to smash his face in. Styles says they don’t have to wait for TLC, they can do it right now. But here’s the thing, Daniel Bryan is not there tonight. And the live events they had the past week, he wasn’t there. AJ Styles says it looks like someone is watching Raw and getting ideas of how things are done there. But this is not Raw, this is the house that AJ Styles built. And while he was champion, he never missed a live event, a PPV or Smackdown Live. Styles tells Bryan to make sure he is at TLC and he can bring his dreams and excuses but most importantly not to forget the WWE title because it belongs to him. Nakamura hits Rusev from behind before the bell even rings. He hits Rusev with the Kinshasa as both men go to the outside and Nakamura hits him with the Kinshasa again. Michael Cole is in the ring with images of Jeff Hardy throughout his 20 year WWE career. Most of the Smackdown Live locker room is on the entrance ramp as Cole introduces Jeff Hardy. Michael Cole says let’s look at all that Jeff Hardy has accomplished over the past 20 years. A video package airs of Jeff Hardy’s career. Jeff Hardy thanks everyone and says he can’t believe he did half of those things. He says this business has allowed him to be the charismatic enigma and he’s lived the highest of highs and felt the lowest of lows. And no matter what he got himself into, everyone stuck by his side. And for that he is eternally grateful. Jeff thanks his wife and daughters. Jeff says this is far from a retirement speech but let’s find out what the future holds together. Samoa Joe’s music hits. Out comes Joe. He congratulates Jeff Hardy. He says he would have come out earlier but he was having drinks and being honest, maybe having a bottle of champagne around Jeff isn’t the best idea. Shane McMahon cuts Samoa Joe off but Jeff tells Shane to let Joe through. Joe tells the WWE it was a great video and Jeff probably wasn’t coherent enough to remember them anyways. Loud delete chants from the crowd. 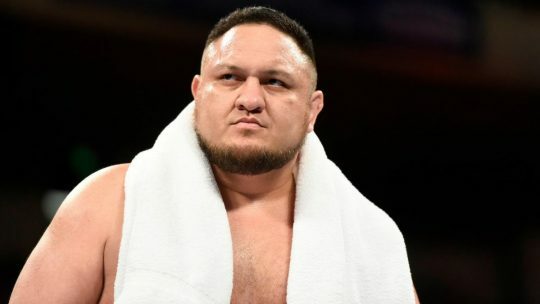 Samoa Joe tells that despite all of the mistakes Jeff has made in his career, he still allows himself to be in that ring and be put on a pedestal and that makes him sick. Joe says his only consolation is that people like him never change and the demons never go away. And the next time Jeff feels powerless and there will be a next time, as a friend, he is offering him his hand. It’s a simple one step program. Jeff tells Joe no matter what he says, he can’t rain on his parade tonight. He walked a tight rope for 20 years but he still lived for the moment and why don’t they make one right now. Joe drops the microphone but heads to the back. The bell rings and we are under way. The Miz gets Kofi in a headlock but KKofi sends him to the ropes and a shoulder block by The Miz takes Kofi down. Both men back up and a flying turning elbow by Kofi as The Miz rolls to the outside. Kofi goes to fly over the top rope but The Miz moves out of the way and Kofi stays in the ring. On the outside, Xavier Woods distracts The Miz as Kofi flies through the ropes onto The Miz. Back from commercial, The Miz is on the top rope as he jumps but Kofi hits him with a drop kick. A clothesline and a chop by Kofi. A drop kick by Kofi Kingston. 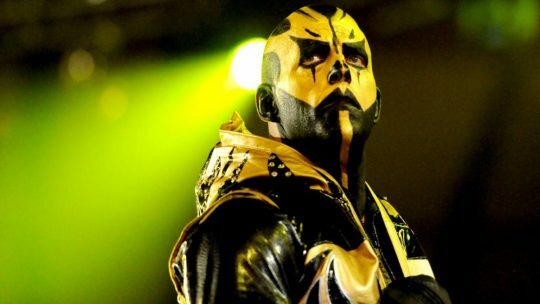 With The Miz up, Kofi goes for the Trouble in Paradise but The Miz catches him, Kofi pushes him off, Miz going for the Skull Crushing Finale but Kofi reverses it. Kofi lands the SOS, he goes for the cover but The Miz kicks out. The Miz kicks Kofi in the knee and hits him with the DDT. He goes for the cover but Kofi kicks out. The Miz takes off the turnbuckle pad with the referee distracted. Big E grabbed a stack of pancakes and put it in its place. The Miz sees it and gets distracted. Kofi goes for the roll-up but The Miz kicks out. A kick to the stomach by The Miz onto Kofi. With Xavier Woods at ringside, The Miz slides and takes Woods out. The referee is distracted by Big E, The Miz throws a chair in the ring. Xavier Woods pulls it out of the ring, Kofi hits The Miz with Trouble in Paradise and gets the 3 count. Randy Orton’s music hits and he comes down to the ring with Rey Mysterio’s mask. Randy says “disgusting, disrespectful, disturbing”. These are all words people used to describe his actions on Rey Mysterio last week. If he had to choose a word, he would say euphoric. Orton says he never understood what was special about the piece of trash he ripped off of Mysterio’s face. He never bothered to learn the history because he didn’t care. Orton says what he did last week wasn’t meant to disrespect Rey’s culture. It was meant to embarrass him. He did it to take him down the pedestal that the fans put him up on. What he did showed last week that Rey is just another one of his victims. He is a victim of RKO. Out comes Rey Mysterio in a neck brace. Orton throws the mask and goes after Rey but Rey with right hands. Orton throws Rey into the barricade. Orton pulls off the neck brace and throws Rey inside the ring. Rey with kicks and punches onto Orton. Mysterio with a 619 onto Orton. He hits Orton and lands another 619 onto Randy Orton. Rey Mysterio goes to the outside and grabs a steel chair. Orton kicks Mysterio who was on the ring apron and hits him with a DDT inside the ring. Orton grabs Mysterio to the outside and pushes him into the barricade. He grabs the chair and hits Mysterio in the throat. Backstage, Shane McMahon is on his phone as The Miz comes in asking him where he was. Shane says he was right here. The Miz says he can’t carry this team alone and he could have beat Kofi tonight if his partner was in his corner. The Miz starts to shine the trophy and says that this is their child. And that makes them family and to start acting like it. The Miz hands Shane the Best in the World trophy and walks away. 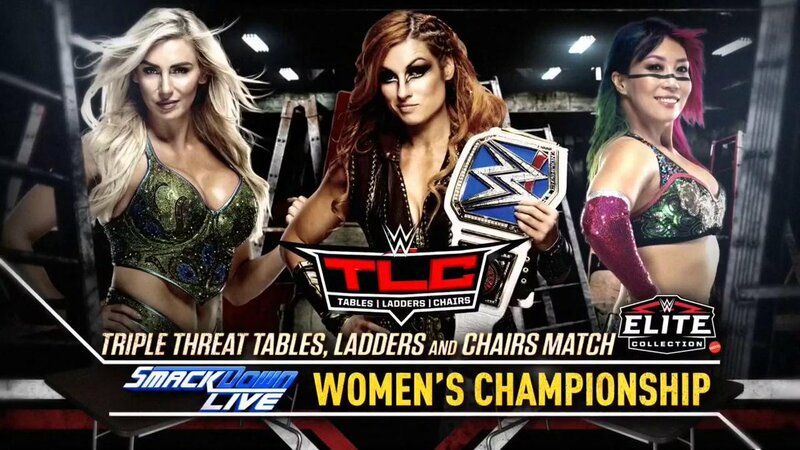 The winner will face Becky Lynch and Charlotte Flair in a triple threat match for the Women’s Championship at TLC. The bell rings and we are under way. Zelina Vega is the first woman eliminated by Lana. Lana is eliminated by The IIconics. Asuka eliminates The IIconics. Asuka eliminates Carmella. Mandy Rose is eliminated by Naomi. Sonya Deville eliminates Naomi. Asuka eliminates Sonya Deville. 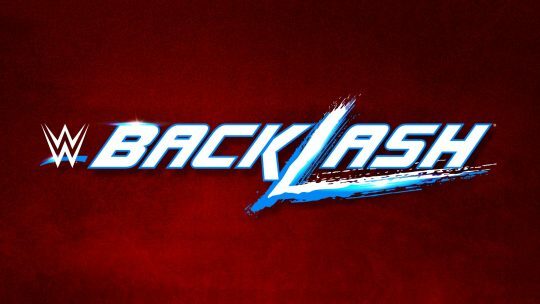 It’ll be Becky Lynch vs. Charlotte Flair vs. Asuka at TLC.